Why do we find the Sunset so magnificent? Have we ever thought about it that why does a field of green grass calms us down and we feel peace within? It is the magic of color, my friends. Colors play an essential role in our lives and we are too busy to stop and think about it. Imagine a Red Rose appearing all monotonous just black and white to your vision. That thought itself gives me goose bumps. Colors are said to have a psychological effect on our perception, emotions, and feelings. We all feel alarmed with the blue siren on the top of the ambulance. We find it very pleasant to take a walk in the moon light with our loved one and few say it’s romantic. The deep blue color of the sea looks refreshing to us and we are compelled to take a swim in it. Scientists say that it is the color of the food that makes a delicacy more delicious, imagine your pizza being served to you without its original color and I am sure your brain would not accept it to be delicious. That is the effect and feeling that the color conveys to our brain and we feel it connected somewhere deep in our heart. Colors are the requisite thing which brings gratification to our lives. Talking about colors we are here to talk about the colors and shades that are used in our day to day life for printing in the print media for various things. It is very cardinal to use the right color and right shades at the right places to make things and product look showy. And to help with this we have the Pantone. 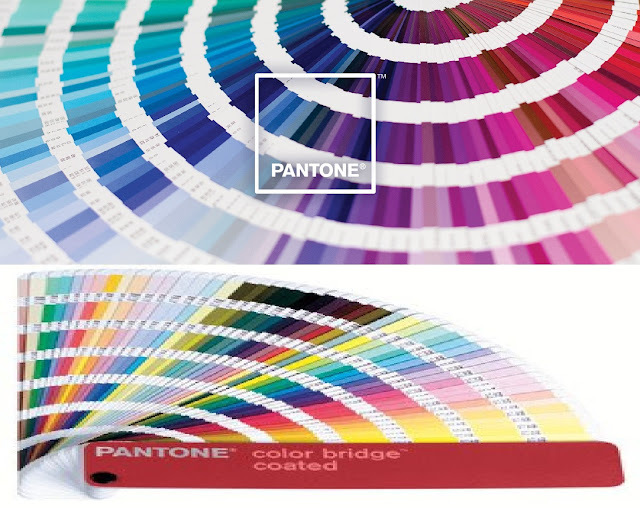 Pantone is the system for matching colors with the help of various shades. This system helps us in various ways. It especially helps people who don’t want to waste time behind matching various colors and creating shades of their own. This system brings to us a variety of vast colors to play with and it’s all available under a single system. It is not a big surprise that the market consists of a large number of guides which help professionals deal with colors. There are uncountable brands offering their expertise in the field but there are scopes of improvement in each of them or should I say none of them are perfect. It was the perfect timing for the Design info to come up with the Panton Formula Guide which is creating a huge difference in the market and stands at the top of the wish list for professionals indulge in designing, color consulting and color intelligence. Design info brings you the ultimate system the “Panton Formula Guide Solid Coated & Uncoated”. It is one of the best-selling color formula guides and it gives wings to your creativity. It is must have tool for the professional who is working in the field of color consulting and color intelligence. It is the latest color tool guide and has been enhanced by the diligent specialist of the brand. The tool brings an absolute range of 1867 colors and shades to choose from. These colors compose of both primary and accent colors which are easy to work with and these colors work evenly with each other and it is too easy to create new colors or graphics. These colors are printed on substance paper and that helps a lot in the printing purpose. The color codes in the book are well denoted by numbers and come with ink formulations. This helps the user to get the accurate color. This guide by Design Info can be used by the various industries like paper printing, plastics, pharmaceuticals and chemical testing industries and it is quite capable of handling all the tantrums regarding colors and shades. This system serves its own benefits too. The colors are included in both the coated and the uncoated paper which helps in differentiating the colors and its effect when used. The colors are arranged well in the guide in a chromatic arrangement which helps in easy identification of the different color families. The guide is handy and the colors are well arranged in a fan like design which comes in handy for the users for color matching. It also has a light indicator toll which evaluates the intensity of light whether or not the light is suitable for color matching. Pantone formula Guide is the ultimate guide which has been a revolution in the industry. This is serving the reader at its best and has made a lot of works easy and quick. Textile Design Studio has served its purpose very well introducing such a product to the market. Why wait just visit the portal and grab the ultimate guide or yourself.